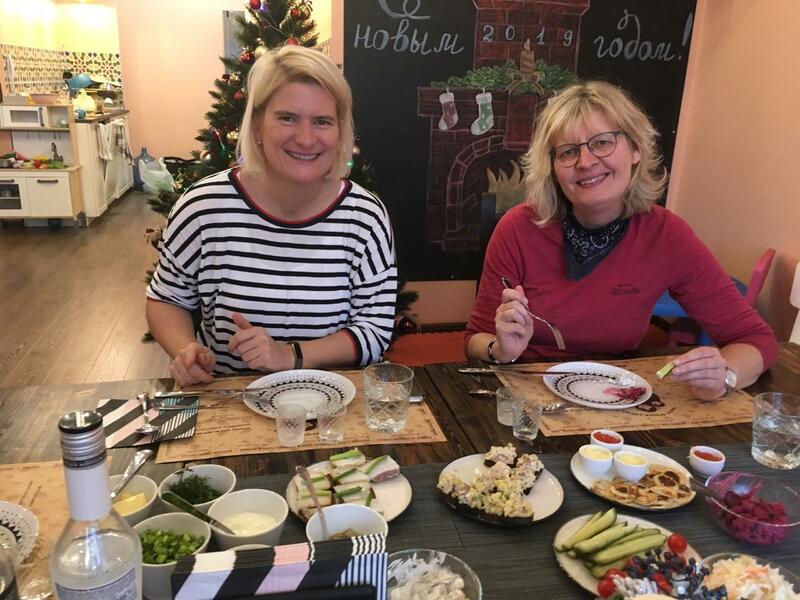 Vodka & Traditional Snacks with a Local Family is a foodie tour where you can try drinks, snacks and much more! 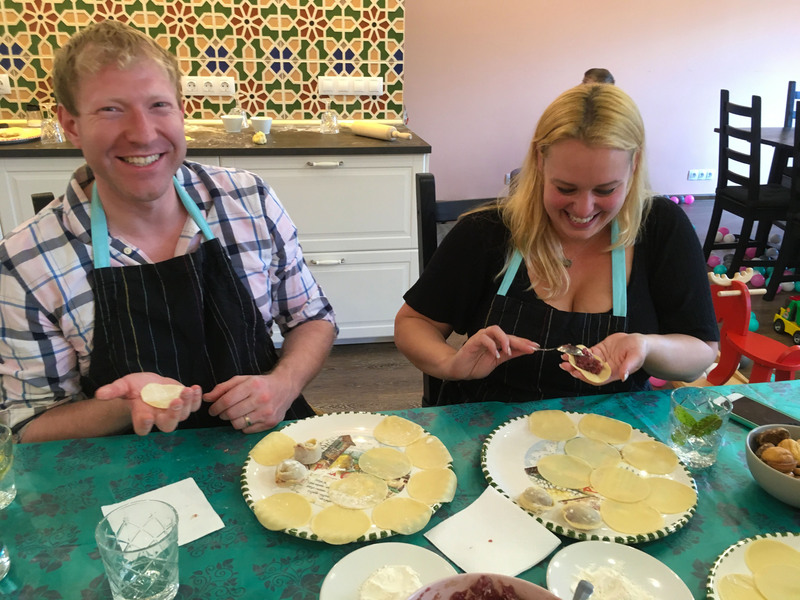 The tour lasts for two and a half hours and includes not only tasting but making traditional dishes. 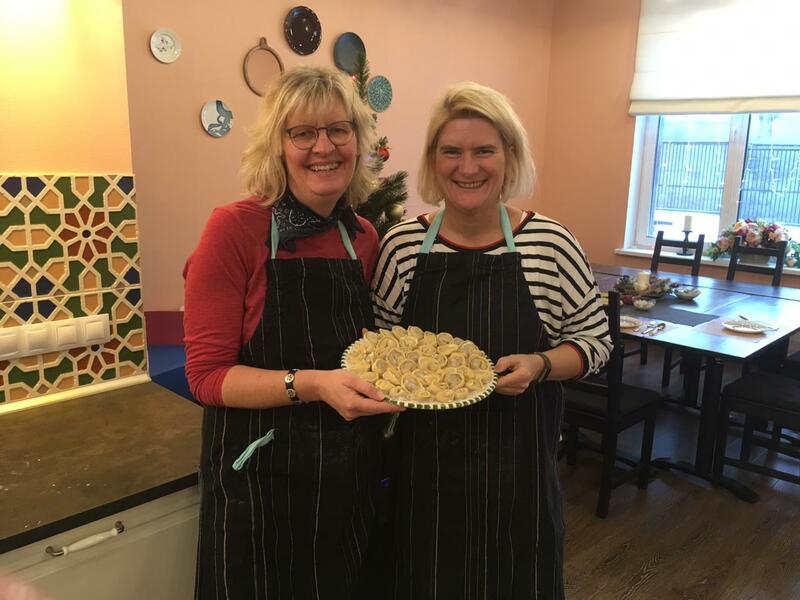 A local family greets you at their studio, you put an apron on and sit at the cooking table. Each dish or drink you make and the taste is described in details and shown in all their variety. On this activity, you try 2 types of Russian vodka, tinctures, and hooch. For snacks you will try hot pancakes with red caviar, melting butter or sauce cream. There is also a dish with boiled potato and butter covered with local herbs, homemade pelmeni. 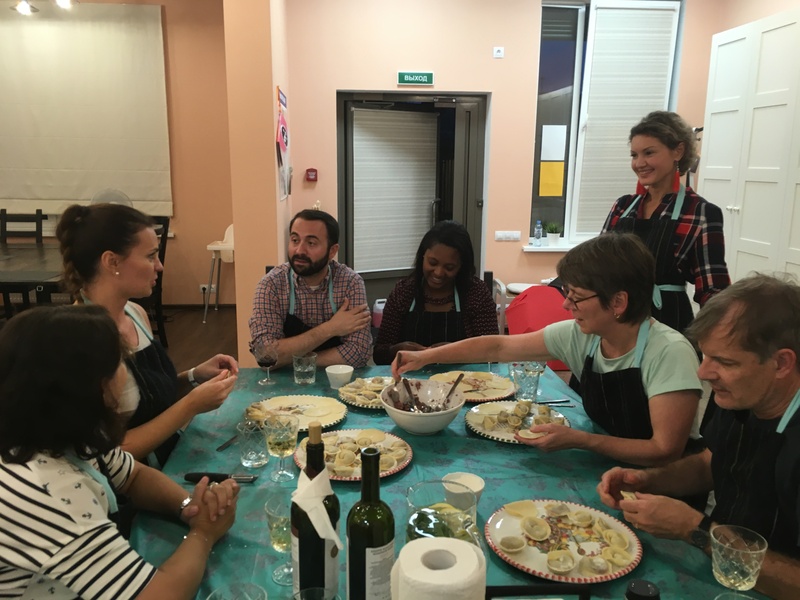 What’s more, you don’t just eat «pelmeni«, you make them from preparing the dough to boiling it and serving with herbs or butter. For extra treats, you will taste sandwiches with herring and onion, toasts with garlic, pickles, mushrooms, and pig fat. Pig fat is a traditional topping for toasts and it is surprisingly tasty and healthy in little portions. The hosts will tell you everything about Russian cuisine and you will remember this warm welcome for many years! Try 6 different traditional local drinks based on vodka. The seventh shot goes as a bonus one, of any flavor you liked the most. The drinks are made and served by a local family. They will tell you about the ingredients they use, different flavors and how they are made. Each drink is served in a frozen shot. Take a look at other tours we have! 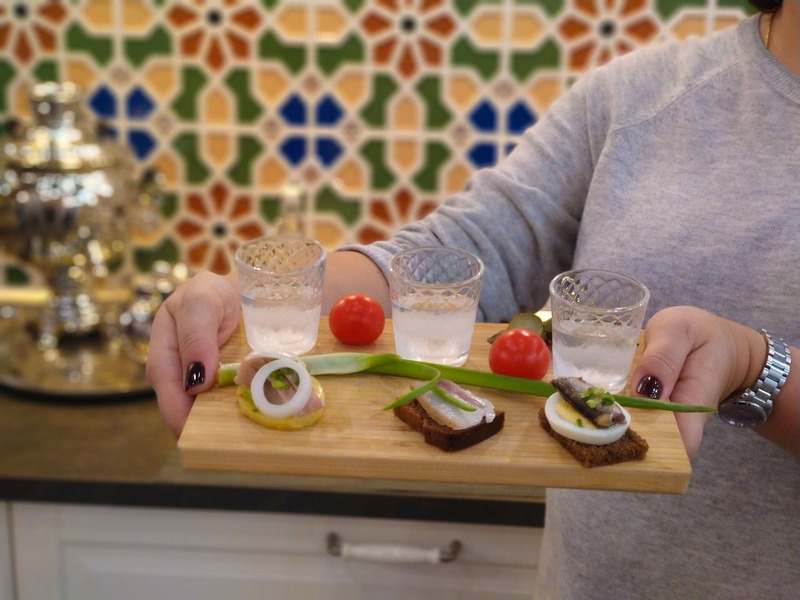 Please note: This is a cooking class with vodka tasting. A local family will meet you in their studio. No hotel pickup is included. Please contact us to send you photo directions. You can also use GPS. The studio is in the St Petersburg city center.